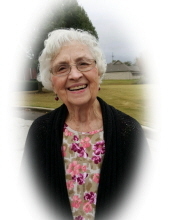 Dorothy Jo Brock Baker, 83, of Huntsville, AL passed away Sunday, March 31, 2019 peacefully at her home. She is survived by her children, Lynette Baker, Wanda Baker (Mike), Joey Baker (Tina), her special grandson Jaden Williams, and ex-husband William A. Baker. She also leaves behind her siblings, Ava Nell Stafford, Angelen Hochberger, Judy Davis, Roger Brock, Larry Brock, Rebecca Drum, and a host of nieces, nephews, and cousins. Dorothy Jo loved gardening, going to the movies, and most of all fellowship with family and friends. She was preceded in death by her parents, Milan and Ethel Brock, sister-Betty Knight Lee, and brother-Maxcell Brock. Services will be held Wednesday, April 03, 2019 at Ardmore Chapel Funeral Home, Ardmore, AL. Visitation will be 11:30 AM until 1:00PM. Funeral service will follow at 1:00PM. To send flowers or a remembrance gift to the family of Dorothy Jo Brock Baker, please visit our Tribute Store. "Email Address" would like to share the life celebration of Dorothy Jo Brock Baker. Click on the "link" to go to share a favorite memory or leave a condolence message for the family.